Magashule's lawyers to brief media - SABC News - Breaking news, special reports, world, business, sport coverage of all South African current events. Africa's news leader. Magashule says his lawyers are busy looking into the matter. 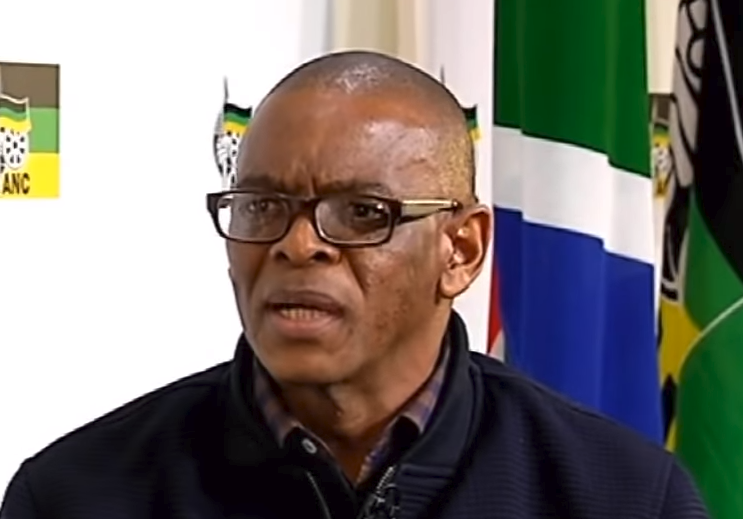 The African National Congress (ANC) Secretary-General, Ace Magashule, says his lawyers will brief the media in the coming week about his legal challenge of the book, “Gangster State – Unravelling Ace Magashule’s Web of Capture”. The book, by investigative journalist, Pieter-Louis Myburgh, outlines Magashule’s alleged involvement in State Capture. Soon after the book was made public, he said he wanted the allegations in the book tested in a court of law. Speaking on the sidelines of campaigning for votes in Cape Town, Magashule says his lawyers are busy looking into the matter. “The lawyers are busy. You know the law and lawyers they take their time. I’ve briefed lawyers, I’m happy they will be talking to media during the course of the week on how far we are. So I am leaving the legal processes to my lawyers,” says Magashule. Magashule, says he is not scared that the controversy around the book would damage the ANC’s cause as it campaigns for the May election. “I’m not concerned at all because that’s nonsense, it’s a non-issue, those are fabrications and lies. I can’t be deterred by anybody, the ANC cannot be deterred. We are staying focussed and must make sure we win elections overwhelmingly,” says Magashule. This entry was posted on 13 Apr 2019,04:01PM at 4:01 PM and is filed under Politics, Homepage Featured Story Slider. You can follow any responses to this entry through the RSS 2.0 feed. Both comments and pings are currently closed.